The Great Indian Mall Boom began innocuously enough in the early 2000s, with just three malls in existence in the entire country. The rest is, as they say, history as Indian shoppers slowly but surely developed a penchant for shopping in clean, vibrant, climate-controlled and highly enabled malls rather than in the usual ‘kirana’ shops and scattered individual stores. 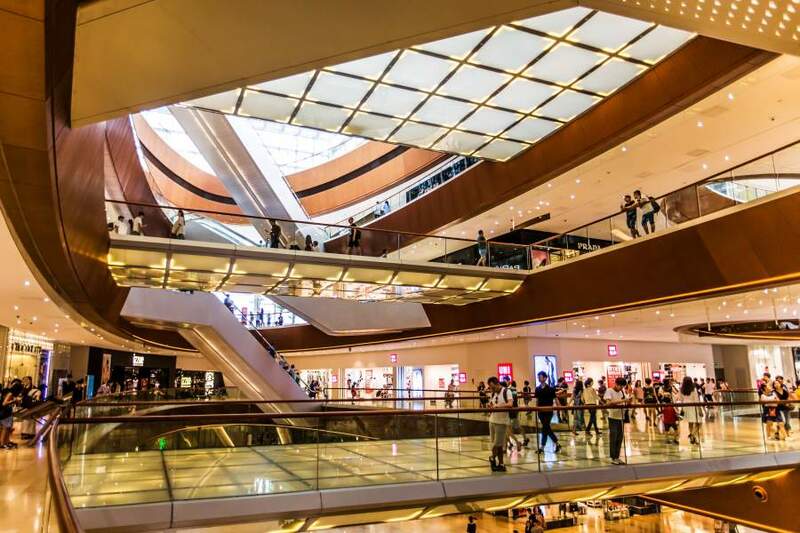 Despite many hiccups, including the recession of 2007-2008 and the advent of e-commerce businesses, the numbers vouchsafe that Indian malls are definitely here to stay. By 2017-end, there were more than 600 operational malls across the country. Interestingly, more than 30 new shopping malls covering nearly 14 million sq. ft. of area are expected to come up across top eight cities by 2020. What Keeps India’s Malls Ticking? Today’s top-performing shopping malls are essentially mixed-use businesses that incorporate social entertainment options, provide a unique appeal along with a considerable depth of shopping experience, and are in prime destinations that are easily accessible by both public and private transport. Moreover, the ability to anticipate and align with changing consumer needs make malls successful today. Despite the considerable progress from its humble beginnings, the Indian mall story is just unfolding and will evolve further. If we look at some of the most innovative mall developments globally, we see advanced features like indoor ski-hills, water parks, theme parks, science centres, zoos and even shooting ranges, among others. India is catching up, albeit with an eye on the essential Indian culture and mindset – which again is very region-specific. More than anything else, Indian malls have become stand-alone brands. To stay relevant, they have adopted new-age technologies from the design and construction stage to the final end-user experience, which is what drives footfalls. DLF’s Mall of India in Noida has an indoor ski-range (Ski India). The Great India Place in Noida, popularly known as GIP, has a water park and one of the best kids play zones in the business (Worlds of Wonder and Kidzania). The Grand Venice Mall in Greater Noida is a tourist destination with its Venetian theme which includes gondola rides and provides a distinctly European feel. The second-largest mall in the country in terms of area, World Trade Park in Jaipur has a unique display feature wherein 24 projectors create a single image on its ceiling. Other prominent malls that are doing exceptionally well in the North include DLF Promenade and Select City in Saket, DLF Cyberhub and Ambience Mall in Gurgaon, and DLF City Centre in Chandigarh. Down south, Lulu International Mall in Kochi – touted to be the largest mall in the country – is creatively using technology-based novelties to offer a highly differentiated experience. These include New-age technologies like geo-fencing, beacon technology and Automatic Number Plate Recognition (ANPR). It also uses technology to interact with its customers and keep them abreast on the latest activities within the mall. Another case in point is the Phoenix Market City mall chain in Bangalore and Chennai – marquee developments in the retail real estate space that have established themselves as lifestyle and entertainment destinations. These malls offer a very holistic and premium experience for retail, entertainment and movies, and F&B. Buoyed by the phenomenal success of malls across the metros, tier 2 cities like Thiruvananthapuram and Mangalore have also embraced the mall culture, with the former seeing the launch of Mall of Travancore early this year. The Western region of the country has also scripted several success chapters in the Indian Mall Story. The Mumbai Metropolitan Region (MMR) is home to some of the most iconic shopping centres such as Inorbit Mall, High Street Phoenix and Infinity Mall, among others. Neighbouring Pune, with its more generous land availability, is also home to prominent malls like Phoenix Market City, Amanora Town Centre and Seasons Mall (with the latter two currently succeeding in the same catchment – a distinct rarity in the highly competitive retail environment). Today, no mall can depend solely on shopping as its prime source of revenue-generation and footfalls. Nor can they, strictly speaking, survive just on the basis of being crowd-pullers. Malls need to transform into community spaces to stay relevant to the increasingly discerning Indian customers. Besides an ambient shopping, Indian consumers expect comfort and enablement at every level from their mall visit. Mall developers are on a steep learning curve as they try to figure out how to inspire customers, who are not just shoppers but experience-seekers, to not only stay longer but to return. As a result, Indian malls today are constantly striving to become prominent ‘shoppertainment’ locations. And they are succeeding at this. Belying the initial angst about e-commerce killing Indians’ appetite for mall-based shopping, Indian malls have actually emerged stronger than ever by providing experiences that couch-based shopping simply cannot match. As of now, e-commerce and malls have learned to coexist in India by focusing on their own inherent strengths and advantages rather than on trying to kill each other off. The result is that shoppers are more spoiled for choice than ever before. Policy (in terms of making the Indian market a great place for domestic and global retailers to be). So far, the current Government has been pretty proactive on both these fronts – and for now, the Great Indian Mall Story is alive, kicking and firing on all cylinders.